Drafting X Provides Downloadable Business Products And Helpful Online Resources For The At-Home Freelance Drafting Professional. Please Visit Us At DraftingX.com. We Wish You The Best In Your Freelance Endeavors! P.S. Visit DraftingX.com And Get Your FREE Gifts… The Freelancer's Quick Start Checklist Plus Two Bonus Documents Not Available Elsewhere. 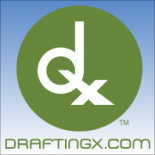 Drafting X in Atlanta is a company that specializes in Computer Related Services, Nec. Our records show it was established in Georgia.